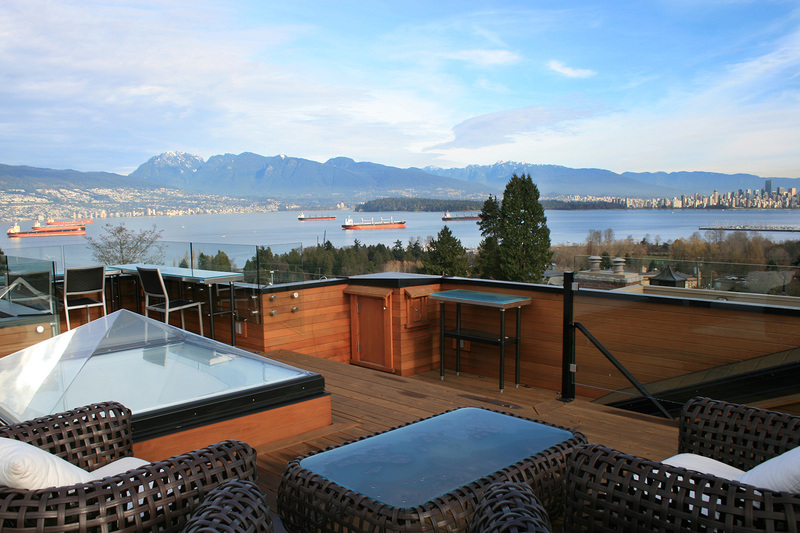 The house sits on a hillside overlooking Vancouver’s spectacular harbor. Point Grey is an upscale residential area adjacent to the University of B.C. in Vancouver.